I have been rather neglectful of my both my blogging and commenting recently so apologies to those I have neglected, hopefully normal service will resume. 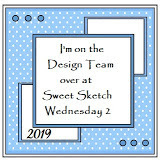 Here I am with my card for our challenge at Sweet Sketch Wednesday 2 where we are sponsored by Digistamp Boutique. I have used Penguin Fun Set to create my card, coloured with Copics and papers are Dovecraft Winter Blooms. Thank you for visiting and any comments you are kind enough to leave. 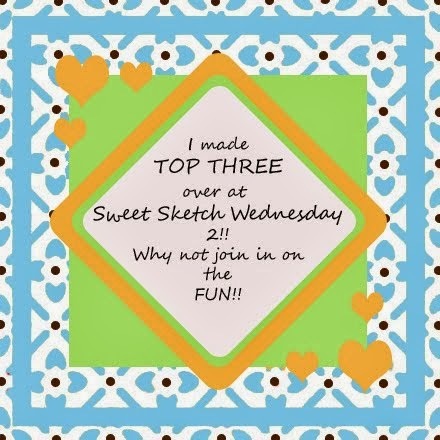 A fabulous card, love the penguins and a super sketch and I spy ribbon! I love how you used 2 kinds of ribbon on your card ... such a lovely bow too. Glad things are a bit less chaotic in your world. We've missed you.